Following closely on the heels of eCOGRA’s recent approval and acceptance of poker software supplier Ongame as a member, the online gambling regulatory body has announced the award of the “Play It Safe” seal to Poker Room. The international online poker giant boasts over 3.8 million global players from more than 140 countries and these will now have the benefit of eCOGRA regulations governing every aspect of poker operations from fair gaming to timeous payouts and efficient customer service. The award of the seal followed weeks of intensive onsite probity and systems inspections by an independent professional services group, which will continue to review and monitor the business activities of PokerNetwork and Poker Room,including the central clearing house operations and anti-collusion measures. The award of the first poker seal has significant implications for the booming online poker industry, representing as it does real and enforced self-regulation. Ongame-owned Poker Room becomes the 56th venue in a global regulatory framework within which 55 top online casinos powered by leading companies Microgaming and Casino on Net operate, handling well over fifty percent of the online casino gambling market. The eCOGRA initiative is open to all and provides practical player protection through a carefully developed set of regulations that are applied through third party international professional services organisations to member casinos and poker rooms. 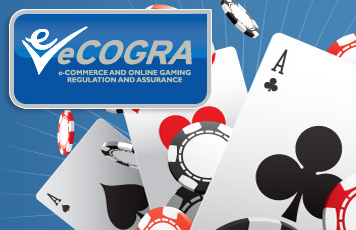 Online gambling operations that successfully pass the inspection are identified by the eCOGRA “Play It Safe” Seal, awarded by the three independent directors on the eCOGRA Board who control the organisation’s operational activities. The eGAP regulations cut across political and geographic barriers to address every aspect of online casino and poker room activity, including FATF-relevant money handling procedures, fair gaming, responsible gambling and efficient customer service. The London-based staff of the regulator includes a Fair Gaming Advocate to whom players can appeal if any disputes cannot be settled at casino or poker room level. Poker Room was introduced in 1999 as one of the first poker rooms on the Internet. Initially the company launched with “play money” only and have continually developed and improved its services for its members. In 2001, Poker Room introduced real money games and has since introduced a number of new casino games and innovations. At Poker Room there are classics such as Texas Hold ‘Em, other poker and casino games available with just the click of a button. In addition, Poker Room is the only online poker site that offers a java version of the game and doesn’t require downloads, so members can play from PC, Mac or Linux computers.